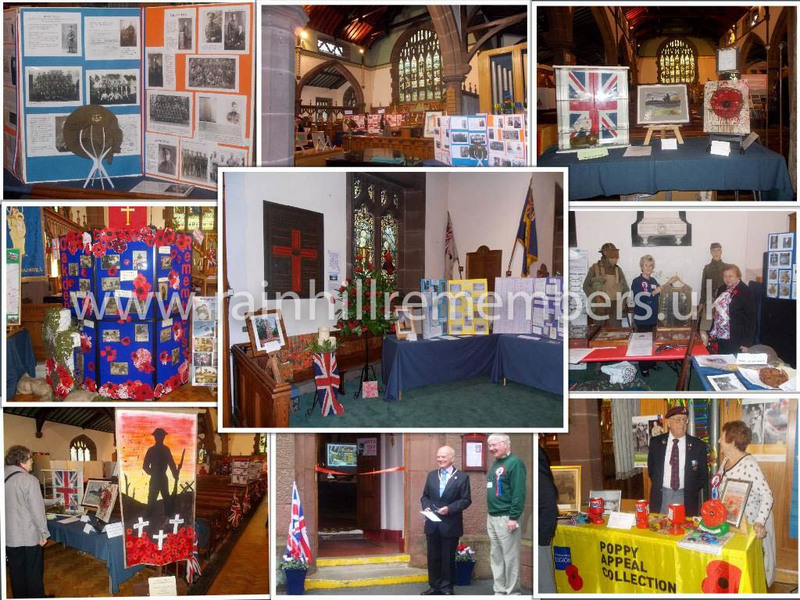 Following two years of research by a small group of committee members of Rainhill Civic Society, the village held an exhibition in St. Ann's Parish Church to commemorate Rainhill's part in the Great War. The free exhibition was held on the 26th and 27th September 2014, with a 'preview' on the evening of Thursday 25th September where a limited number of exhibits were displayed and attendees were treated to songs of the era sung by the local Highnotes Choir. Publicity for the event included posters around the village and in local shops with shopkeepers kindly donating prizes for the ubiquitous raffle, the Civic Society website, in the local press and even a couple of spots on BBC North West! All of this was rewarded by an attendance of over 1000 people, some of whom with Rainhill connections had travelled from distant parts of the country. The life and times of each of the 53 World War 1 soldiers named on village memorials was researched in great detail, with every soldier having his own storyboard displayed in the exhibition. Exhibits also included uniforms, medals, weaponry, a slide-show, a model railway and stunning displays created by children from the local primary schools. 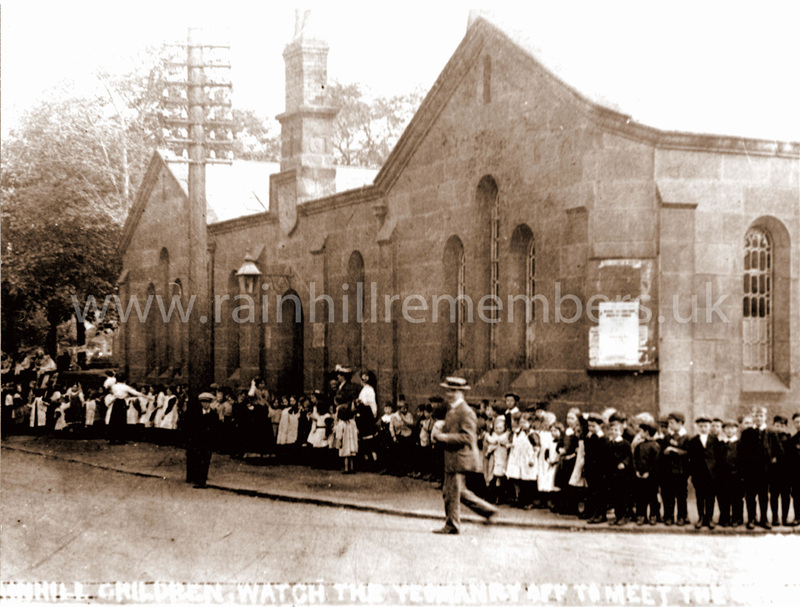 The event also told how Rainhill was home to three Voluntary Aid Detachment (VAD) hospitals and of a unique autograph book of wounded soldiers collected by nurse Edith Lidstone which was eventually traced to Canada and magnanimously donated to Rainhill Civic Society by its owners. 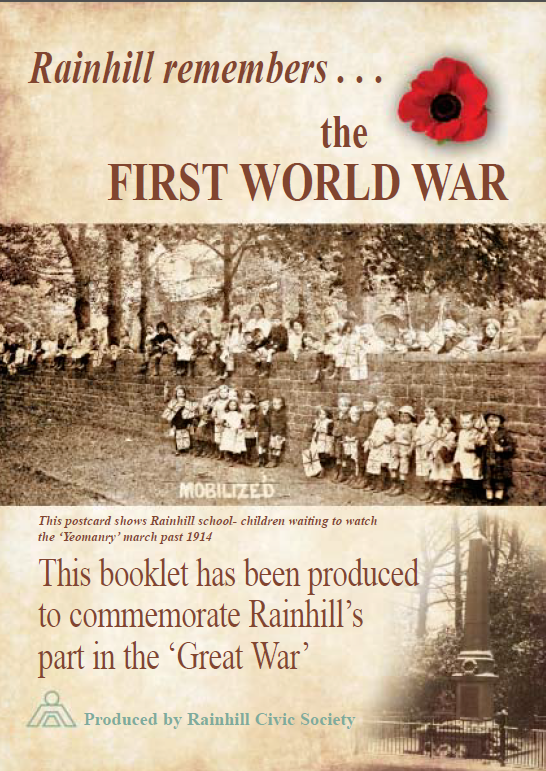 ​Following on from the success of last year's WW1 Exhibition, the Heritage Group staged a further, smaller event held in St. Ann's Millennium Centre, View Road, Rainhill on the 10th (1.00pm-3.00pm), 12th (12.00pm-4.00pm) and 14th (10.00am-4.00pm) November 2015. Although numbers were down on the Saturday due to bad weather, visits by pupils from Rainhill High and Tower College on Thursday proved very popular. The Exhibition also unearthed a story from a Rainhill High pupil who's great-grandfather saved the life of the King of Belgium. Click here for further information.